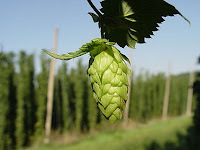 2012 seems to be flying by - April is already drawing to a close and soon summer will be upon us. Of course here in England that just means the weather switching sporadically from raining so hard it feels like the ocean is trying to climb onto the land, to irradiating levels of sunshine so intense a hydrogen bomb would seem like an air conditioner. But I digress, on a more relevant note you’ll be glad to hear that, even though endometriosis awareness month has come and gone, research into the disease is still carrying on apace. There hasn’t really been any one big piece of news that has caught my attention this month, so instead I’ll do a rundown of all the little bits of endometriosis research, from diagnosis to treatment, that have been published recently. To start with; getting diagnosis. In order to get diagnosed, you first have to go see your local doctor, an activity many women with endometriosis will know does not always go well. So firstly, a report from France about how much knowledge general practitioners have about endometriosis diagnosis and care. To test this, the study gave a 36 item questionnaire to 100 doctors from a region of upper Normandy. The survey found that 63% of respondents were “ill at ease in the diagnosis and follow up of women presenting with endometriosis”. I’m not entirely sure what they mean by “ill at ease” but it doesn’t sound like a good thing and certainly doesn’t seem representative of a professional attitude. According to this survey half of the doctors surveyed couldn’t name three main symptoms of endometriossis and only 24% would refer the patient without delay. Unsurprisingly the authors found that general practitioners were much more likely to give better answers if they had attended advanced gynaecology courses or followed up more patients who had been diagnosed with endometriosis. It seems then that if these advanced gynaecology courses are available to general practitioners, they should be made mandatory. So let’s say you do get referred to a specialist, the next step is getting your condition confirmed. Traditionally this is done laparoscopically, but an interesting report from the Netherlands on the development of a new type of diagnostic method for endometriosis may change that in the future. Whilst the good old fashioned laparoscopy can’t be beat for accuracy and precision (in the right hands), it would be nice to have a different method for detecting endometriosis that didn’t involve having to be knocked out and cut open. Step up then ‘gadofosveset-trisodium enhanced magnetic resonance imaging’, I’ll not go into the technical details because frankly I don’t know what they are. Basically it is a modification of the MRI detection system which is a scanning method that allows us to see inside your body, much like x-rays but without the radiation. The gadofosveset-trisodium is a chemical that is injected into the body to help the MRI pick up blood vessels more easily. Importantly though this method makes it easier to distinguish between older blood vessels and newer blood vessels which the endometriotic implants would grow to survive. The authors of this study testing the technique on mice that had been induced to have endometriosis and found that the newer blood vessels from the endometriotic implants did show up clearly on the MRI scan, meaning this technique could one day be used for the non-invasive detection of endometriosis in humans. Onto medical treatment now, which is usually the first line approach to endo treatment. The drugs we have for the treatment of endometriosis are many and varied, some are quite good, others not so much. But if you’re trying to develop a new drug, where do you start? In the past scientists would turn to Mother Nature for inspiration and, although synthetic drugs are fairly dominant today, we still haven’t lost sight of the old ways. This is highlighted by two studies which have looked at the potential of compounds extracted from plants as possible treatments for endometriosis. 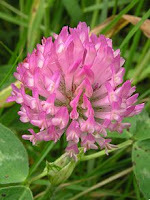 The first of these studies found that compounds called Kaempferol and Apigenin, which were extracted from red clover, showed some positive effects on endometrial cells grown in the lab. The trouble with this is that endometrial cells grown in the lab are very different from the cells found in endometriosis, so whether or not these compounds will have any real benefit remains to be seen. The second study looked at a compound you can extract from hops called Xanthohumol. This study was a bit more in-depth than the first because they induced mice to have endometriosis, gave some of them the Xanthohumol and then observed what happened. What they found was that the mice given Xanthohumol had smaller endometriotic implants and the blood supply feeding the implants was also reduced. These studies are encouraging because it means people are actively seeking new and better therapies for endometriosis and another advantage of these compounds is that they are non-steroidal, so should have much fewer side-effects. Speaking of medical treatments, a study was published recently concerning the effectiveness of a relatively new endometriosis drug called dienogest (also marketed as Visanne™). Unlike other drugs which are more commonly used for other reasons (such as the birth control pill), dienogest was designed specifically as a treatment for endometriosis. To put dienogest to the test this study took 252 women with endometriosis and gave 124 of them dienogest and 128 of them leuprolide acetate (also known as Lupron™) over a course of 24 weeks. To assess the effectiveness of each treatment the authors questioned the women about their endometriosis symptoms and their health overall. The results of this study showed that dienogest and leuprolide acetate performed equally as well at reducing the symptoms of endometriosis; most of the women noticed a dramatic decrease in pelvic pain, dyspareunia and dysmenorrhoea. However, it was when comparing overall health that the differences really start to show. The patients who took dienogest had much, much greater levels of improvement in overall physical and mental health, indicating that dienogest is much better tolerated and has far fewer negative side effects. The authors of the study put this down to the fact that, unlike leuprolide acetate, dienogest doesn’t cause a huge decrease in estrogen levels which leads to some of the nasty side effects you can get with leuprolide acetate. From medical treatment to surgical treatment. Some of you may have heard about the Da Vinci Robot system that can be used by surgeons to aid them in performing delicate operations. 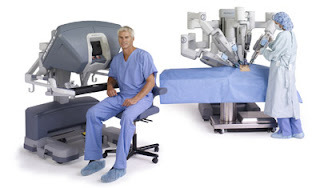 For those that haven’t heard about ‘the robot’, it’s basically a remote operated series of robotic arms (see picture below) that, according to the marketing on their website, makes minimally invasive surgery quicker, simpler and increases recovery rates. The trouble is there haven’t been many studies concerning how safe the robot is in real world use; although that is most likely because the robot hasn’t been in use for very long so large, long term studies concerning its safety probably won’t be coming out anytime soon. Nevertheless, a study was published recently from Taiwan where 60 patients underwent robot-assisted surgery for a number of different gynaecological conditions (including two resections of deep pelvic endometriosis). What the surgeons found was that robotic surgery “is feasible and safe for patients with complicated gynecologic diseases” and “surgeries were performed smoothly without ureteral, bladder or bowel injury” which is encouraging. The only problem is these surgeries were performed by specialists surgeons with a great deal of experience, it would be good to know how less experienced doctors fair with the robot before coming to any conclusions about its overall safety. Lastly, it turns out endometriosis is not a uniquely human condition. I’ve wrote here before about endo occurring in non-human primates, but a report from Japan was the first to find endometriosis developing spontaneously in a female Mandrill. I don't have access to the full report regarding the Mandrill with endometriosis. How did they know it developed "spontaneously"? Did they follow it over time? 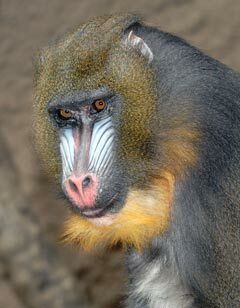 And, it would be interesting to see pictures of unhappy Mandrills and Mandrills with endometriosis to compare side-by-side with the happiest Mandrill you have shown here. :) Great reporting, as always. And, as a side note, I've known robots who can type. Haha! Thanks Jen, When they talk about 'spontaneous' endometriosis they are just reffering to endometriosis that was not induced experimentally or on purpose i.e. it was a completely incidental finding. Also I hope robots dont get too good at typing, or else I'm out of a job! Hi Caroline! Thanks for getting in touch, its great to hear from endo advocates throughout the world and its sounds like you're doing a great job spreading awareness with your blog. Brazil has had a really good research output in the last few years and the 12th World Congress on Endometriosis will be held in Sao Paulo in 2014 which will be a great opportunity for endo experts from all over the world to see what Brazil has to offer (I can highly recommend attending, I went to the one last year in France and learned so much). Feel free to share my articles, I'm going to add your blog to my favorites! I wish you all the very best with your surgery on the 1st June and hope you are pain free soon.